See how many of your friends can name all 11! 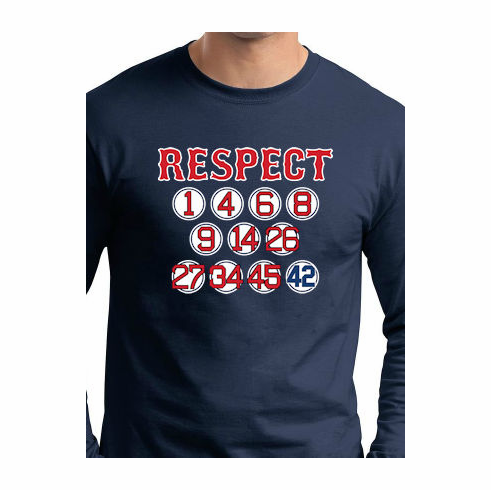 This baseball t-shirt features the Red Sox Retired Numbers RESPECT graphics screened on the front! 26 and 34 are included! Small Everything Baseball logo screened on the upper back. Choose short sleeve or long sleeve - the t-shirt color will be navy blue.